Several months ago, I got my Bachelor in Product development and Technology Integration with a project on IT automation. Admin-in-a-Box – Provisioning and cloning for SMBs , a project that aims at increasing efficiency in IT department in Danish small and medium sized businesses. The problem – through its nature, IT can be very much automated, but we are still not at the point where we push a button and everything really works. SMBs are struggling with understaffed IT departments (that is if they even have a one) to handle IT within the company. SMBs don’t want to invest more in their IT, because IT simply “doesn’t bring any tangible business benefits”. Users are annoyed by the fact that they need an “IT guy” to fix their software or hardware and the most annoying part is that they need that frequently. 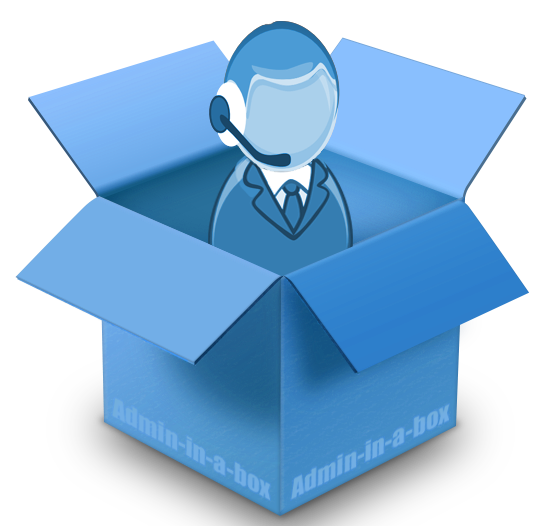 Admin-in-a-Box comes as a solution to the problems mentioned above (initial project assumptions, verified to a certain degree by the projects research) by replacing the human need for a variety of tasks. It reduces complexity of IT and integrates business logic, through its web interface. Users can “push” configuration profiles for their own PCs and can rest assure as their setup is being done in the background, without interruption. In simpler words, a box configured to manage configurations for multiple PCs on a LAN, accessible through a custom web interface. It is based on open-source tools. It is designed be as approachable as it can be for a non-technical user, having predefined configuration profiles and an automatic client installer. The technical idea is to make more than a front-end to Puppet. There are similar projects for that like Foreman or the Enterprise version of Puppet. It combines predefined configuration profiles, cloning capabilities and unattended OS and software installers to make the process of setting up a new PC or reconfiguring an old one as fast as possible. I have also prepared a screencast of a user scenario, where a newly install Windows machine is being added to the Admin-in-the-Box system and it is being configured based on standard configuration profiles. The project made me look at the industry (IT) from a different perspective, both technically and business wise. IT is business enabler, a means to achieve ones business goals. It is integral part of our infrastructure and how do our work. It is a cost that should be looked differently by most businesses. Separation through virtualization just works. Its the ideal solution for security, efficiency and productivity within your project. Automation FTW! – I mentioned previously in the article that we’re not yet towards the point where we press a button and everything magically works. Puppet is one of the reasons I’m starting to see that happening – at least for tech people at first. It is not yet ready for production usage with customers, but contact us at MN Works for more info.